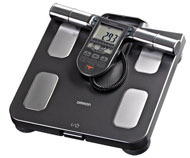 There are hundreds of bathroom scales on the market and dozens of modern versions capable of measuring everything from body fat percentage to metabolic age. However, no matter how sophisticated the technology, a bathroom scale simply must be accurate. Otherwise it is a complete waste of time and money. Below, we provide you with reasons why a bathroom scale may give you an incorrect along with 3 of the most accurate weighing scales we’ve reviewed. Why Should I Invest In A Bathroom Scale? If the idea of daily weigh-ins fills you with dread, you’re doing it wrong! For a lot of people, a set of bathroom scales is a constant reminder that they’re in bad condition. In order to get the most out of a body fat monitor or another similar machine, you should only weigh yourself once a week. This allows you to see consistent results instead of getting upset because of a freak result. In reality, your weight and body fat percentage can fluctuate widely from one day to the next for a variety of reasons including water retention. By measuring yourself once a week at the same time each morning, you get a steady set of data over a period of time. There are a host of studies which came to the conclusion that weighing yourself regularly increases the likelihood of weight loss. This could be because frequent weighing makes you more conscious about what you eat. This leads to better food choices over the long-term; the result is fewer calories consumed and more weight lost. Why Would Bathroom Scales Be Inaccurate? 1 – No Clothing Allowance: Do you weigh yourself naked or with clothes on? This makes a bigger difference than you might think. Research from the University of North Dakota shows that men should subtract up to 2.5 pounds and women up to 2 pounds for their clothing. 2 – Water Weight: If you drink 16oz of water, it will show up as an extra pound of weight if you decide to hop on a scale. This is why you should weigh yourself in the morning before eating or drinking anything. 3 – Constipation: If you have this issue, it could lead to a temporary weight gain of 3-4 pounds after a couple of days. 4 – Carbohydrates & Sodium: Certain carbohydrates and sodium can lead to water retention. If you regularly eat meals with lots of refined carbs, the excess is stored as glycogen in the liver. Glycogen will attract water which leads to inflated numbers on the scale. Likewise, if you go on a carb free diet for several days, retained water will be released and lower your apparent weight. The trouble is, this weight returns once you start eating carbs again! 5 – Exercise: Weighing yourself after an intense workout will result in an artificially low number. This is because of fluid loss. 6 – Muscle Mass: Muscle only takes up one-third of the space of fat. If you have embarked on a strength training regime, your weight might actually increase but your body composition will significantly improve. This is why BMI is a useless metric for those who train with weights and is also why you should look at bathroom scales that measure body fat percentage. 7 – Inconsistent Weigh-Ins: According to research carried out by Cornell University, the average person’s weight will fluctuate regularly during the week. You probably won’t be surprised to learn that we’re usually at our heaviest on Mondays and lightest on Fridays. This means you should weigh yourself on the same day each week. Cornell’s research suggests that Wednesday might be the best day! If you’ve read our review, you’ll know that we absolutely raved about the Tanita BC554 and with good reason. Not only is it the most accurate scale we’ve tested to date, it’s also the best overall. There’s a good reason why medical facilities choose it! The bioelectric impedance analysis it uses is seemingly vastly superior to the measurements of its rivals because it continually gave us accurate readings when it came to weight, body fat % and muscle mass. It is designed for tri-athletes and certainly does the job and then some! Other metrics include bone mass, visceral fat, metabolic age and it even provides your physique with a rating! If you’re serious about staying in shape and can face the cold, hard truth about your body, the Tanita BC554 is one of the best body composition monitors. We wish it had Wi-Fi connection ability and a larger LCD display but these are minor points. This is yet another scale that offers a wide range of measurements including body fat %, muscle mass %, total body water % and bone mass. It stores personal data for up to 8 users and its Step On technology means you can get instant readings without having to press a button. The large 3.5 inch LCD display makes it easy to read and it has a capacity of up to 400 pounds. We found it to be a very accurate scale and the majority of Amazon.com users agreed. This machine comes from the respected Greater Goods brand and it gives you bone mass, body fat % and water weight readings among other things. It offers Bluetooth connection which is why it is a little cheaper than Wi-Fi rivals. It can be used with Google Fit and FitBit but isn’t as reliable as a Wi-Fi connection. This technology enables you to chart your progress online in graph form. The 5 year warranty is reassuring and we found that the four sensors on the scale provided consistently accurate readings. We also liked the easy to read LCD display and the 400 pound max capacity. The main downside is the speed with which the batteries get used up. 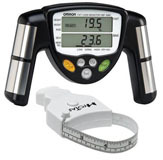 However, we still feel as if this Weight Guru model is a value for money body composition monitor. Accuracy: Since this is the title of the article it’s hardly a surprise that accuracy is your #1 priority. You could find out your weight by using a doctor’s scale and then try your brand new scale to see how close it comes. In terms of body fat percentage, request a body fat calipers test and see how close it comes to the reading on your scale. Platform Size: If you are a large individual or have wide feet, a standard size platform may not be big enough. 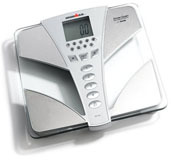 There are a few scales on the market with extra-wide platforms such as the EatSmart Precision Plus. Display Readability: You need a large and clear LCD display in order to see your reading. If you have to stoop or bend over to see the figures, it will compromise your reading because your weight will shift. Look for bathroom scales with a backlit light to ensure you can see your data even in the dark. Body Analysis Features: To get the best value for money, choose a body fat monitor that provides you with your weight and body fat percentage. It’s up to you to decide if added metrics such as visceral fat percentage and metabolic age are worth paying extra for. Performance in Humidity: Certain scales perform poorly when exposed to humidity. Since your scale is likely to be in the bathroom, this could pose a problem. Only use the scales to gauge your progress. Even if the initial reading is inaccurate, the subsequent readings will give you a good overview of your progress. Choose the same time and day of the week to use the scale and it’s best to weigh yourself naked. Weigh yourself in a room with a similar temperature each time. Modern scales use bioelectrical impedance analysis; this involves the use of an electrical current which goes up through your body. Your skin temperature has an effect on this current. Pick a scale that’s the right profile for you. For example, athletes need a monitor with an athletic setting. Clean the foot pads before use to ensure good conductivity and increase the accuracy of your body analysis. Virtually everyone can benefit from an accurate bathroom scale. You are weighed at every physical exam because being overweight increases your risk of health problems. Focus on body fat percentage rather than weight to get a better picture of your physical condition.